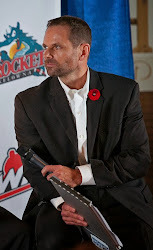 Smith, a former captain of the Edmonton Oilers and Philadelphia Flyers, played 1,008 games over a 15-year career in the NHL, and was most recently an assistant coach with the NHL’s Ottawa Senators for the past two seasons. 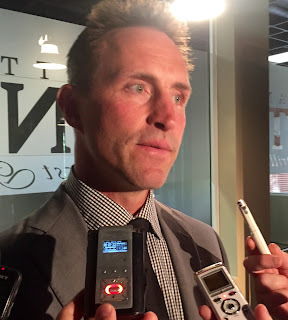 Smith, 42, is a former WHL player, having played for the Regina Pats, before moving on to the NHL where he played with New Jersey, Toronto, Edmonton, Philadelphia and Ottawa. After his retirement in 2008-09, he joined the Senators' organization, first in player development and the past two seasons as an assistant coach, on the bench with the Senators. “I’m excited,” said Smith, a defenceman as a player. “I think this is a good fit. 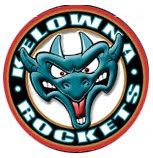 I’ve had very good conversations with Bruce and I met the coaching staff and I think we have a lot of similar thoughts and beliefs on what it takes to lead a team to success and I’m looking forward to moving to Kelowna and the challenge of coaching the Rockets."